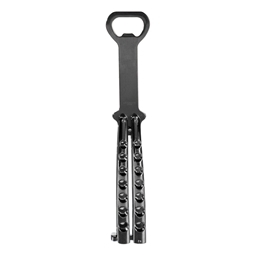 No one wants to drag a full sized bottle opener around with them. No matter where you are it is a chore, and if there's alcohol involved then remembering to take it home with you at the end of the night is a very real issue. 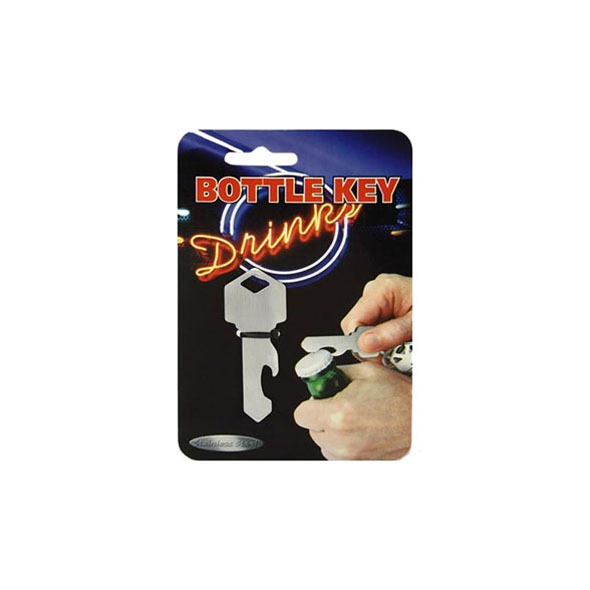 To solve all your woes regarding pesky bottle tops we'd like to present to you the Key Bottle Opener - a fully functioning bottle opener which is small enough to fit on your set of keys - perfect! All you have to do now is remember your keys. 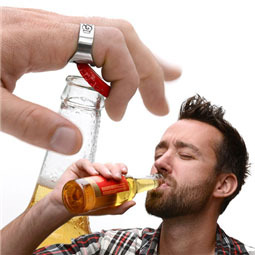 Finally, a bottle opener that is small enough to fit on a keyring! Unlike typical key chain bottle openers that are bulky and struggle to fit in your pocket, the IGGI Key Bottle Opener is both sized and shaped like a typical key. As a result, it makes a practical yet convenient addition to your keyring. 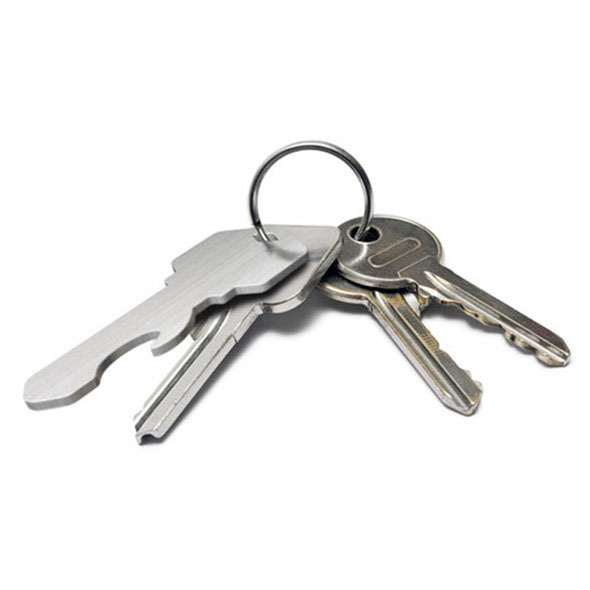 This handy item fits perfectly amongst your regular house keys - meaning you can keep it on your possession at all times, ready for that impromptu house party or post-work cold one! Enjoy your bottled beverage of choice anywhere and at any time - just don't try and open the door with it! Warning: This key will not open your door, so make sure you remember your real keys if you're going for a few bevvies. 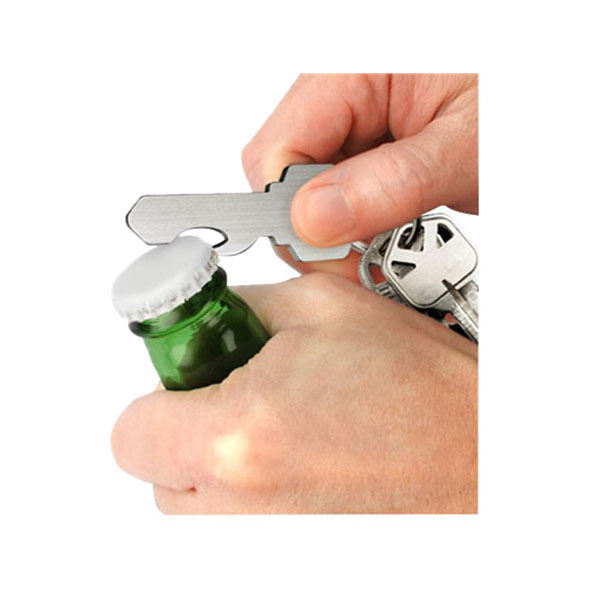 We've got lots of other weird and wonderful botle openers available. Why don't you check out our similar products section and see what's on offer?